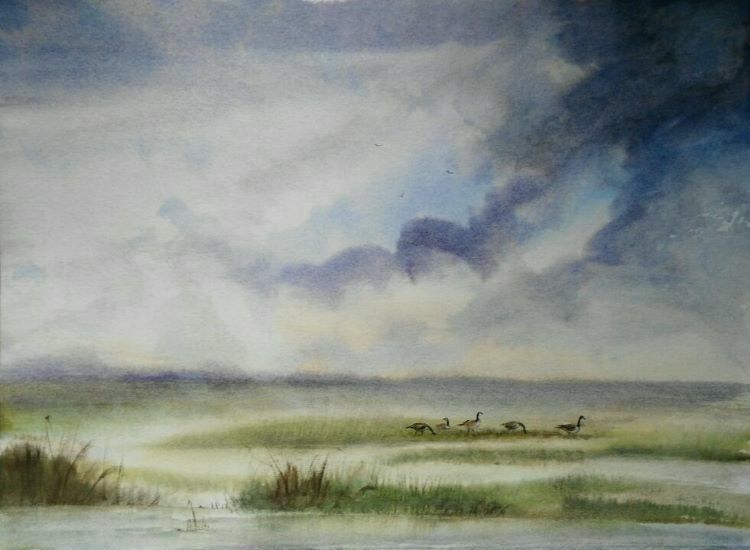 Inspired by a trip to Frampton Marsh near Boston, Lincolnshire. This is a rather imaginative image trying to capture atmosphere. 11" x 15"